Welcome to the Smartech system usage tutorial! Find out how to activate and use your bed system to improve your life. Each tutorial is dedicated to a specific section of the app: choose the one for which you need information. For the installation of your new MagniSmartech bed system refer to the user manual available here. Make sure that your Smartech Mattress is accurately assembled, that the MagniSmartech©Station is connected via Ethernet cable to the Smartech Mattres, and that the MagniSmartech©Station is plugged in as shown in the manual. Press and hold (for about 4 seconds) the “A” button on the lower part of the MagniSmartech©Station until its status LED turns solid green. Wait 30 seconds for the phone holder to light up before starting the system. Then, press and hold (for about 5 seconds) the “B” button on the lower part of the MagniSmartech©Station until its status LED flickers in blue and, after turning off, it slowly flashes in an amber (orange) color. 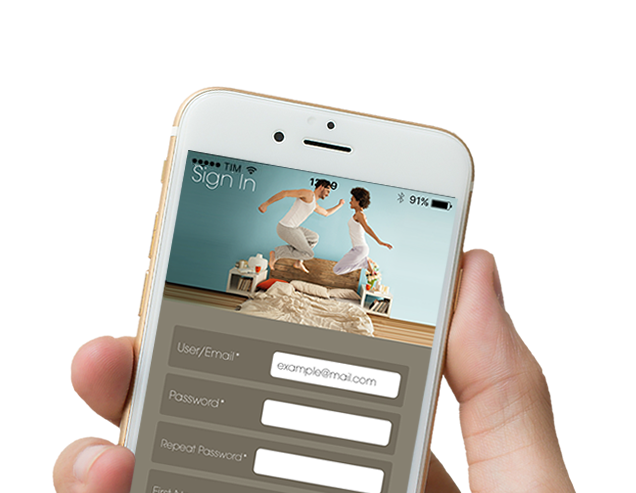 After launching the app you will see a login page. 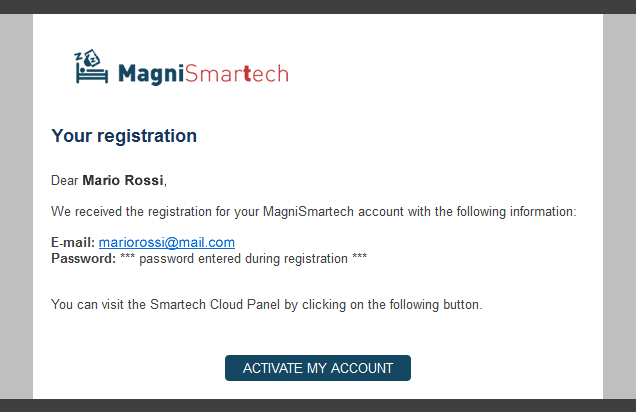 First of all, you need to create a personal account for Smartech© by touching the “Register” button on the lower left side of the page. Enter the required information in the registration page. The details marked with an asterisk (*) are mandatory. Please be careful while entering your email address, as it will be your username and will be needed to confirm your account. The optional information will be used to better understand your living habits and to give you advice on how to improve your sleep: we recommend you enter these details! We value the privacy and the confidential nature of our clients’ details: we will not share any of your information with any third party, nor we will use them for purposes other than those agreed upon. After entering your details, press the “Save” button and wait for the reply. The app may freeze for a couple of seconds while communicating with the server before showing the registration confirmation screen. At the end of the process, you will receive an e-mail to confirm your account. Check your e-mail address to confirm the registration by pressing the account activation link in the message. Press the “OK” button. 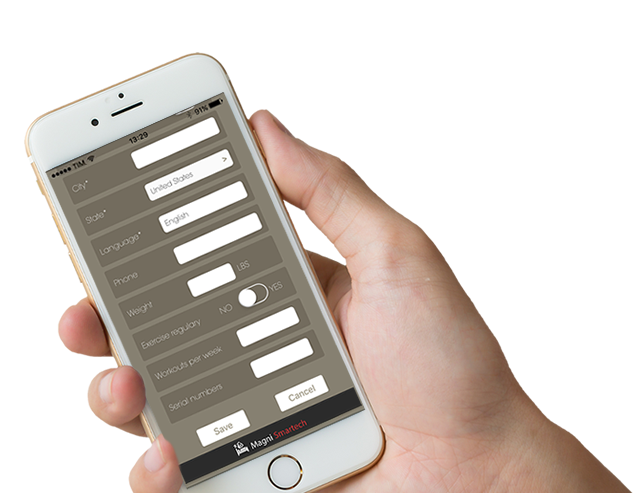 Now you can start configuring your device. A registration confirmation e-mail will be sent to the e-mail address you entered during the account creation process. You must click on the link in the e-mail to activate your account. Access the reserved area using the credentials entered during the registration (e-mail and password). In the reserved area, you will find more tutorials on how to complete the configuration of your Smartech bed system and more information on the app itself.